You want to redirect your career or energize and focus on your job search. Maybe you are sending out resumes, applying for jobs, and reaching out to friends and family, but so far you aren’t getting the response you want. Or maybe you don’t know what you want to do, but you know you don’t want to do what you are doing (or have been doing). Where do you go from here? The job market is nothing like it used to be. The company as a “caretaker of careers” is dead. Thus individuals are essentially on their own to plan, shape and manage their careers. Jobs are shifting geographically. . . radically. And hiring systems and processes are changing rapidly, especially with the advent of mobile and web-based recruiting technologies. There are increasing skills and experience gaps largely attributed to demographic/generationaly changes and education deficiencies. So employees are expected to excel is developing their professional skills and achieve relevant performance metrics. But then, being really good at what you do is no longer enough. Leaders must perform at the top of their games in every dimension. The bottom line is that professionals at every level must take charge of designing and managing their careers the same way a business owner creates a company strategy and executive plan. This is a daunting and complex task for just about anyone. And the best laid plans can change in an instant. So who do you call? A career coach, that’s who. Positive Coach’s team offers a wide range of career services that can help you accelerate your search or help you redefine and execute a new career direction. From our full range of services, you can pick and choose only what you need most or select the comprehensive, seamless campaign that covers the full scope of a professionally run and successful career transition —beginning to end. Of course, we can always work with you on an hourly basis to address your specific needs. really want out of your job and your life. What if you could find a job that inspires you? Yes, it can be a scary time, but the end result is well worth the effort. . . and the investment. 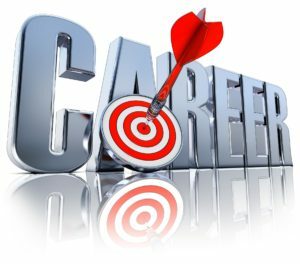 We can help you create your career vision, devise a career plan, and execute your job search at the highest level of professionalism and effectiveness. You might even want to start your own business. We can help you decide. We want to support YOU!